Everyone talks about SEO, but how many really know what it means and what to do to achieve results? For the team at XINSURANCE, finding the right partner to get results was important in their SEO endeavors. “We weren’t built to maximize through SEO yet. 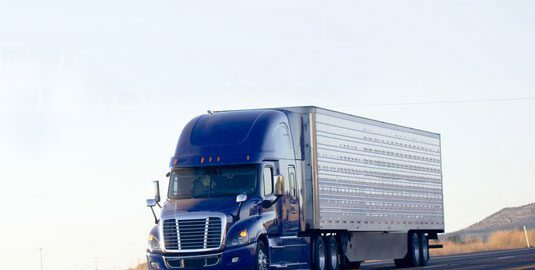 The expectations we had were to get us on track.” Logan Fitzgerald, Senior Vice President of Marketing for XINSURANCE, said. Three months into a 12-month SEO campaign, XINSURANCE is certainly on track, raising awareness about their services and seeing an uptick in inquiries about those services. Typically, SEO campaigns are measured not only by the increases in organic traffic from search engines and search engine keyword rankings, but also conversion rates improving over time. This commonly applies to businesses that sell multiple products and have a large inventory of tangible products. XINSURANCE is a unique 1Digital Agency client in the sense that the product is not tangible. It creates a different approach to achieving results, especially since it is not nearly as measurable as conversion rate. XINSURANCE came to 1Digital with a fairly solid foundation from previous SEO work and continued content production in house. With the help of 1Digital, XINSURANCE was put on our SEO process that gives extensive research to relevant keywords and a targeting strategy that promotes results for favorable searches. The 12-month SEO campaign included on page optimization to improve site structure, page speed and backlinks, ongoing website optimization that includes updating meta descriptions, H1 tags and page title tags, and a content creation plan of off page and on page content that builds and improves backlinks and on page SEO collectively. We put XINSURANCE on of our starter campaigns. Out of the 25 keywords we began targeting, XINSURANCE was only ranking for 12 of them. Of those 12, only 5 were in the top 50 search results, with none of those 12 being in the top 20. Currently, in their third month of SEO with 1Digital, XINSURANCE is ranking for 28 keywords in the top 100 search results. Of those 28, 27 are in the top 20 results. Of those 27, 22 are ranking in the top 10, and of those 22, 10 are maintaining 1st position rankings on the 1st page of Google. 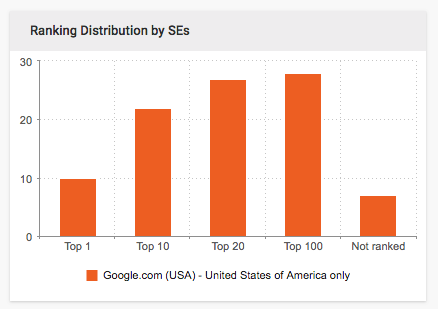 This graph (and these results) were based on the information we track in our SEO Dashboard. Our dashboard allows us to track rankings, traffic, backlinks and look at competitor metrics. Now, keep in mind that the above results are what we see after three months of XINSURANCE partnering with 1Digital. In their second month of SEO with 1Digital, XINSURANCE started ranking number 1 for a variety of secondary keywords. These “secondary keywords” are keywords that start ranking based on a splash effect of the work being done targeting main keywords. Three of those secondary keywords ranked in Google’s featured snippets. XINSURANCE started to see an uptick in traffic and inquiries to the business after about a month of indexing and starting to rank with search engines. Typically, in an SEO campaign with 1Digital Agency, our first month consists of a comprehensive website analysis, keyword mapping, content strategy, and on-page optimization. Month two is where we really start to buckle down on SEO content marketing with on- and off-page content. After the second month of partnering with XINSURANCE and after the first month of pushing and creating content, we saw a 42.66% increase in traffic from organic search. We took a deeper look into where this traffic with coming from. One of the XINSURANCE classes of business that rose the most had an 85.19% jump in traffic. Now, because of their services, we are unable to track conversions. However, after a meeting with the XINSURANCE team, we were able to determine that they were, in fact, getting calls and submissions specifically about this class of business. After the third month of their SEO campaign, we are seeing a 36.32% increase in traffic from organic search with a 5.50% decrease in bounce rate and a 21.13% increase in average session duration. Comparing third-month results with second-month results, for one of the top classes on XINSURANCE.com, there was a 101.83% increase in organic traffic. 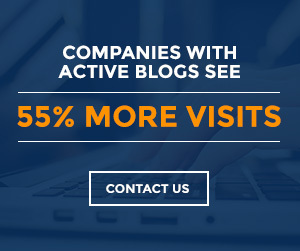 If we compare third-month results to our first month of content production, we see that, overall, XINSURANCE has an 80.17% increase in organic traffic. Their top page, specifically, shows a 240.12% increase in traffic from organic search and their second-highest ranking page shows a 113.64% increase. 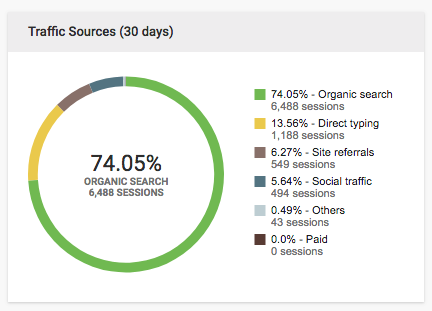 74% of the traffic going to XINSURANCE.com comes from organic searches. With a big part of XINSURANCE being awareness of their services and the insurance that is available, generating traffic and building organic traffic was a key statistic upon starting the SEO campaign. XINSURANCE wanted to see an increase in opportunity, to get in front of more people, build an audience, and eventually turn that into better sales as the months progress. SEO takes time to really generate results, so for three months into a campaign, seeing exponential increases in traffic for specific keywords and organic traffic continually on the rise are all good signs and opens the door for greater opportunity to take the leads and quotes generated from these first three months and turn them into business for XINSURANCE in the future. As XINSURANCE moves to the next three months of an SEO campaign with a lot of buzz already being generated by their SEO efforts, the goal is to continue to build off of the initial results. “With this first three months, starting the second month and now the third month, it’s most definitely climbing the hill. Over the next three months, I’d like to see more of the same, but after a good six-month period, we have more of a track record and are honing in on what we built,” Fitzgerald said. So far, the education of having an SEO campaign has been a benefit to the XINSURANCE team. You hear a lot about the importance of SEO, but until you see the results, even early ones like XINSURANCE is seeing now, you don’t realize the importance. “You don’t know what you don’t know,” Fitzgerald said. “Everyone talks about SEO and thinks they have a good in-house team, but when you really get with specialists, it makes a big difference. Co-Written with Natalie Nakoneczny, Digital Marketing Manager.